In any busy workplace, employees likely spend a good amount of their days tracking down and organizing information needed to do their job properly. A digital workplace assistant can help your teams save valuable time by streamlining these tasks. Workplace assistants can come in many forms, including multifunction printers and their accompanying smartphone apps. Let’s take a closer look at how digital assistants work. As the world of work evolves, people become more efficient with the help of machines. Businesses must continue to innovate processes in order to keep up with the changing times. Searching through extensive records and archives. Providing information when and where employees need it. Streamlining mundane tasks, allowing more time for innovation and new projects. As an added bonus, some workplace assistants can proactively predict information users will want or need using set rules or artificial intelligence, cutting down on the time spent searching for it and improving overall workflow. 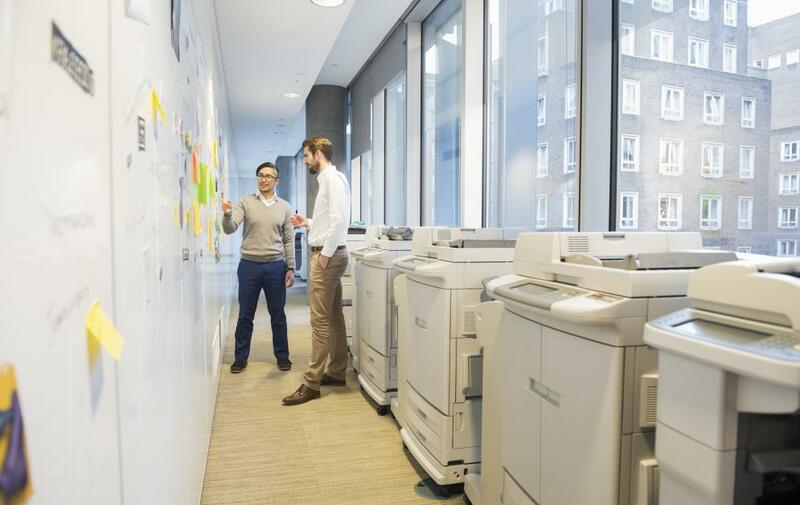 In order to keep up with evolving work environments, today’s multifunction printers offer apps to up convenience and productivity and create a more user-friendly printing experience. Apps built into the printer interface enable users to search for documents saved to the cloud, find and favorite email contact recipients, and save personalized printing preferences for later under a unique user profile. Scanning documents with your camera to be printed or shared. Merging multiple documents into one. Secure uploading to and sharing on the cloud. Notifying users of printer status updates. For example, the Universal Printing Assistant from Xerox allows users to check on the entire printing network from one smartphone app. Set up notifications for low paper or low ink, order replacement supplies, view the operating status and more all in one location, reducing printer downtime and improving office workflow. In a rapidly-changing office environment, businesses need to keep up in order to stay relevant and successful. At Pacific Office Automation, it’s our goal to provide customized office solutions and office equipment that will help move your office forward. Contact your nearest POA branch when you’re ready to upgrade to a printer that can help streamline your workflow.